Food. It’s one of the most confusing things that we all have to deal with every day of our lives, and it seems every week there is a new trend promising to deliver everything you dreamed of. Keto, vegan, pegan, paleo, vegetarian, high carb, low carb, fruitarian, atkins, bulletproof, carnivore, raw... The options are mind boggling! But what if there was a specific meal you could have each day that is cost effective, fast and transcends all the fads and dogma? No matter what your individual unique body type is, this breakfast could just be that one thing that really moves the needle on your levels of health, vitality and longevity. Note: In my episode I mentioned I don’t get compensated for promoting these products. After the episode, Dr. Cabral set up an affiliate link, so if you do choose to purchase through these links, I will receive a small commission. If you are like me, you have probably wondered what the heck am I supposed to eat? In my Longevity Series which is a 10-part series starting at episode 40 to 49, I mentioned a specific breakfast we can all have that is going to have a big impact on our health. You can hear that full episode at iamnickbroadhurst.com/44, Get Your Antioxidants. I wanted to really shine the spotlight on this breakfast because it is so easy to do, it’s so yummy, you will love it, and if you have kids, they will love it too. I am always super hesitant to ever suggest what people ‘should’ be eating, because let’s face it, you don’t want me shoulding all over you, but since I get asked this question so much, I wanted to dive a little deeper. First, to set us up for the day we want to ideally be waking up before 6:00am which is during the vata time of day where the elements of air and ether dominate. This is a time of meditation and spiritual practice. If you wake up after 6:00am, you are now into the kapha time of day, the energy of water and earth, which can be felt as heavy and sluggish. Waking up during the kapha time means these qualities will increase within you. This is where we can get that feeling of, “Damn, I have overslept”. With that baseline of understanding that means we are generally eating breakfast between the kapha hours of 6:00am and 10:00am. The heavy and sluggish hours. That means your digestion will be more heavy and sluggish, as will be your detoxification systems. So, how is it that somewhere along the way we bought into the idea that breakfast is ‘the most important meal of the day’ and therefore should be the biggest? Think about it, if your digestion in the morning is generally weaker, heavy and sluggish, as well as your detox pathways, does it make sense to be throwing a whole bunch of fat into your belly in the form of bacon and eggs? It needs to be very hydrating because our bodies have just gone 7, 8 or even 12 hours (if you have kids) without water. We want to be supporting the liver to flush all the accumulated toxins out of the body. This breakfast could just be that one thing that really moves the needle on your levels of health, vitality and longevity. But it does need to be tweaked according to your unique dosha or body type. If you don’t know what your body type is, check out my Ayurveda Series 1, from episodes 21 to 24. Vata is unique in that this body type can really benefit from something grounding and warming before the smoothie. Upon waking you have already have had a big glass of warm water with a squeeze of lemon or lime and pinch of sea salt to kick start the detoxification process and rehydrate the body (this is great for all body types). This is not essential but about an hour after waking and after your lemon or lime water, you can have a small bowl of oats. The benefits of oats are just way too huge to ignore. The science is all there and I will dive into that in another episode. These need to be soaked overnight. For me, it’s 1/2 a cup rolled oats, or ¼ of a cup of steel cut oats. Rinse them off, cook them very well to reduce lectin content, until most of the water content is gon, and eat with a small amount of maple syrup to get glucose into your system. Remember the vata body type does very well on glucose and carbs. Don’t be afraid of natural sugars like maple syrup that won’t feed candida and bacterial overgrowth if eaten responsibly. That’s the basis of my vata berry breakfast shake. I don’t add fresh greens because it’s too much for my digestion in the morning. Same goes for fat. I find that the small amount of fat in the almond milk is just right for me. I same animal fats in the form of ghee for my dinner when I am in more of a parasympathetic state and can digest better. Vata’s may also like to try a pinch of warming spices like cardamom, ginger or cinnamon. Blend your smoothie until warm. Do not drink cold. Unless you are very pitta imbalanced, you should never eat or drink anything cold. A simple rule to live by. Rotate your berries every now and then to a mix of berrie so you don’t develop an allergy to blueberries. Same goes for all your meals. Make sure you eat from the rainbow of colours and try new vegetables every week. If you are wondering about seasonal vs frozen fruit, I hear you. Seasonal is always better. But berries must be organic as they are a heavily sprayed crop, and this can get very expensive. The benefits of berries are just so massive, that in this case I am waiving my preference for eating seasonally, just to make sure we get one meal every day that packs a nutritional punch. Take the same base ingredients of berries, water, greens, plant based fat and plant based protein, and experiment with what works for you. Melissa skips the berries in her shake and replaces it with more cooling vegetables that help balance her pitta, such as cucumber, cilantro and romaine lettuce. Then she eats her berries afterwards with some of the protein because she loves the taste so much. I am placing emphasis on plant based protein and fats because they are easier to digest and won’t increase your pitta like animal based products can. Save these for dinner time when you have time to relax and digest. No matter what your body type, can also play around with the amount and types of fruit. Vata can try berries and banana to help make it more grounding. Pitta can add in cooling vegetables and two cups of berries since they generally have stronger digestion. Pitta may also like some bitter dandelion greens and turmeric. Kapha have to take it easy on the amount of natural sugars, so sticking with high fiber low glycemic fruit like berries is a must. Again play around with the basic ingredients and see what feels good for you. You may like adding even more water in and drinking it over 2 hours to support your more sluggish kapha system. A handful of spinach, pinch of pungent dry ginger or cinnamon, cilantro which is astringent, or bitter dandelion greens may work for you, or it may not. Skipping the sea salt may also be better for you. I will link to the Equilibrium products in today’s show notes at iam/92 . I recommend these products because they have been formulated by my friend and mentor Dr Stephen Cabral using a mix of functional and ayurvedic medicine, and in my opinion are the best products on the market. I amo not paid a cent to recommend these products. And I do want to say thank you to Dr Stephen Cabral for opening my eyes to so many life changing concepts. For berries, just make sure they are 100% organic. My friend, it’s all about balance and common sense. Ayurveda is about bringing the body back into a natural state of dynamic equilibrium. And this beautiful big ultimate berry breakfast smoothie not only kicks decades of dietary dogma to the curb, but is a great daily insurance policy that you can easily start right now. I just want to say Thank you so much for taking the time to share this information and knowledge in such a clear and easy to understand way. Absolute gold! – And when you mentioned blending your smoothie until it’s warm – do you need a high speed blender like a vitamix to make this possible? Really enjoy reading your show notes from your podcasts and learning more about your journey and also things that I feel drawn towards on my own healing journey. I am someone who loves to read so appreciate you have not only audio but text as I enjoy reading and really taking it in the most! Similarly I have done many protocols on my quest to thrive being chronically ill and unable to work and in complete organ failure. I am actually planning on ordering Stephen cabrals big 5 lab tests tomorrow to perhaps get some more clues and see what is halting my healing. And how I can elevate it. I have registered for the webinar tomorrow so keen to listen and learn more. I have also done a protocol that I think has really caused a major bacterial imbalance too. Hence me becoming literally bone and skin with severe malabsorption. I wanted to ask you in your oats do you put any blueberries or almond milk etc anything other than the maple syrup and oats? Or just those two things? And nothing else? Did you find at the beginning when your gut was so bad you reacted to the oatmeal and rice which you also introduced I read in your candida podcast? I believe too in bioindividuality and what works for one doesn’t always the other but to learn and grow as we trial. So I resonate with your thoughts too. Hey! So great you are working with Stephen. You know how I feel about that :) Definitely check out his new course which I think everyone should do. 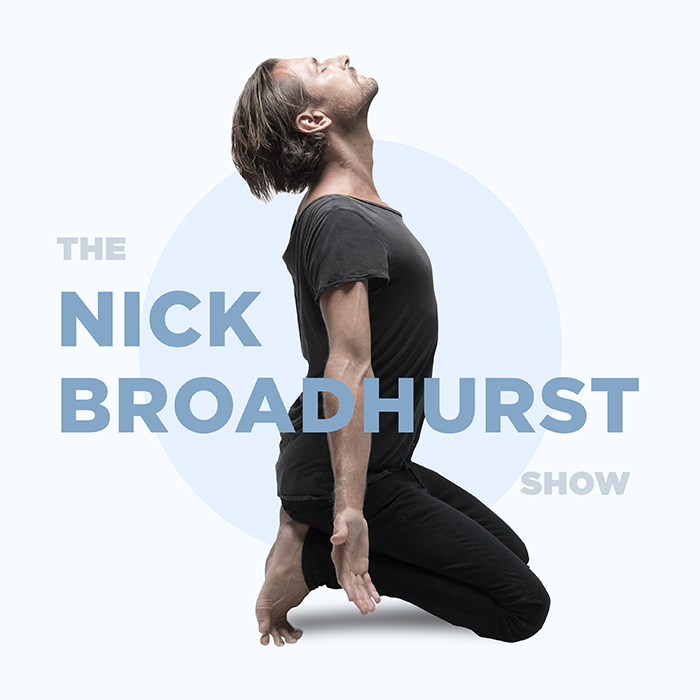 https://iamnickbroadhurst.com/ihp. I make nut milk at home from nuts I soak overnight and add that to my oats sometimes instead of my smoothie. I also mix it up and add the berries to my oats with the maple and nut milk, and eat the protein afterwards with a splash of nut milk so it’s thick. Just to change things up from all the ingredients in the smoothie. Nice to chew the whole meal sometimes. Hope that help! Thanks so much for replying!! I ordered the big 5 labs so just waiting for them to arrive. I could really resonate to what you said about being on deaths door as such. I am there my body has shut down and is becoming a skeleton of nothing. So fingers crossed that these tests show something that no one in the last few years has had any luck finding! So you would make almond milk? And then either put the almond milk in the smoothie and make oats just on water that day with maple syrup maybe? And then some days add blueberries to the oats. So if the smoothie has no nut milk or fruit it’s just mixed in water is that right? Protein shake and water? Did I understand that correctly? I have been on low carb diet like kryptonite for me too. Added sweet potato back in this year but still rarely low carb due to sensitivities so I hope the tests show allergies and intolerances too and then I can perhaps slowly introduce rice and oats as grains have been out of my diet so long and trying recently caused issues. I did see his training and will consider it in the future right now i had to choose the priority of the tests and thus whatever the protocol they recommend following and maybe coaching with them further past tests as needed straight away. But definitely will keep it in mind going forward. Do you use chicken broth just in cooking rice? Or eat chicken at times too? I struggle with protein. Highly recommend doing his Integrative Health Practitioner training. There is nothing more powerful than having the knowledge yourself! You really can mix and match how you do the smoothie and oats. Do what feels good for your digestion, that’s the best rule to follow. Right now I am having the greens powder in the morning when I wake up with lemon juice and salt, and about an hour later I have the oats with berries, maple and nut milk on top. That’s just what feels good right now, but I can feel a move back to having a smoothie again soon with oats and maple on the side. It’s always changing! In both some days? Just so the water and protein shake is not so watery? I did forget to ask out of interest have you ever worked with any of the coaches on Stephen Cabrals team and recommend anyone? They didn’t have bios when I contacted them as yet. And a while back you or Melissa posted re non toxic mattress companies, I am looking for a mattress topper and wondered the companies you perhaps recommended. Another great very inspiring post..thank you! I know nutrition is a very personal thing but I’m just interesting in your opinion about banana, for example as replace for oats or other carbs in the morning? Another great and inspiring post..thank you! I know that nutrition is a very personal thing but I’m just interested in your opinion about banana’s, for example as replacement for oats in a smoothie or as substitute at your oats? I think bananas can be great IF you don’t have candida or bacterial overgrowth. And they are definitely best eaten on their own. They do not combine well with any other foods, from an ayurvedic perspective.